Fox hunting season has officially begun in London—hunting for hidden ceramic foxes that is. 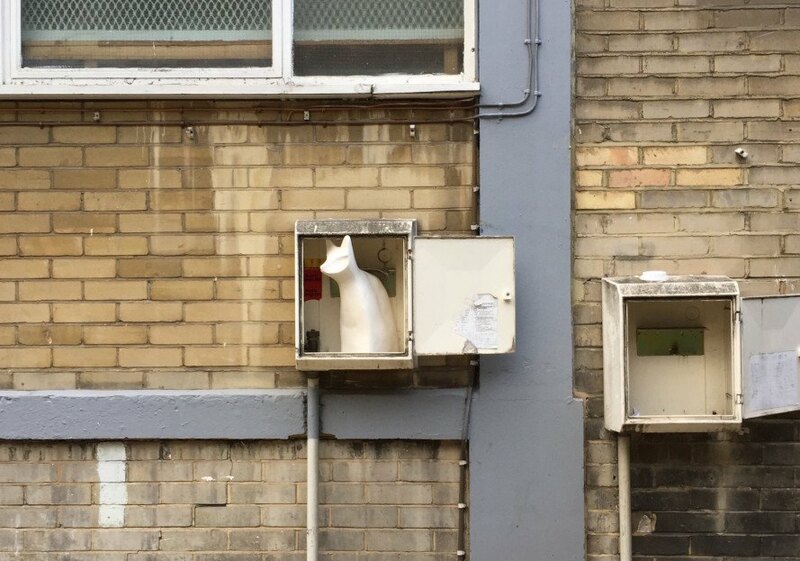 Finnish artist Hanna-Kaarina Heikkilä created 60 white life-size fox sculptures and has hidden them all throughout East London. The project, called Wild in the City, was created to challenge our perception of the urban environment and invites lucky individuals who happen across a hidden fox to take them home and share pictures of the found foxes on social media. Launched as part of London Design Festival, Wild in the City explores the city dweller’s relationship with urban wildlife, specifically the urban fox, which is a commonly found animal in East London generally considered a nuisance- particularly for gardeners. Heikkilä’s game of finders-keepers and its 60 numbered ceramic foxes aim to encourage people to see beauty in the surroundings they may often consider mundane or ugly. The artist also chose to use foxes because of their historic status as symbols of class war in the UK. 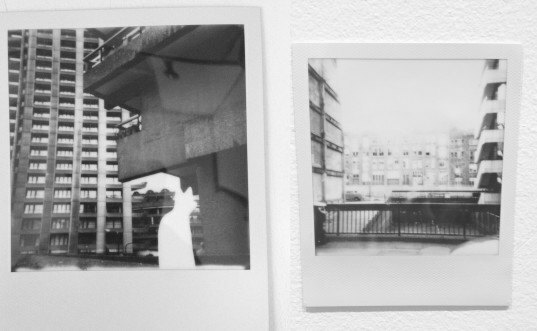 To help people in the search, Heikkilä has posted black-and-white Polaroid clues of the hidden foxes and their locations on Facebook and Instagram. Her ceramic fox installation is but one part of the Wild in the City project, which started its global tour at the Helsinki Design Festival, where Heikkilä hid white ceramic rabbits throughout the Finnish capital. Heikkilä plans to bring Wild in the City to places like Tokyo and Los Angeles in 2016. Wild in the City explores the city dweller’s relationship with urban wildlife, specifically the urban fox, which is a commonly found animal in East London generally considered a nuisance, particularly for gardeners. To help people in the search, Heikkilä has posted black-and-white Polaroid clues of the hidden foxes and their locations on Facebook and Instagram. Heikkilä’s game of finders-keepers and its 60 numbered ceramic foxes aim to encourage people to see beauty in the surroundings that they may often consider mundane or ugly. The Saariaho Järvenpää gallery at Old Street Underground Station exhibited 10 luxury versions of the foxes. The artist hiding a ceramic rabbit in Helsinki. 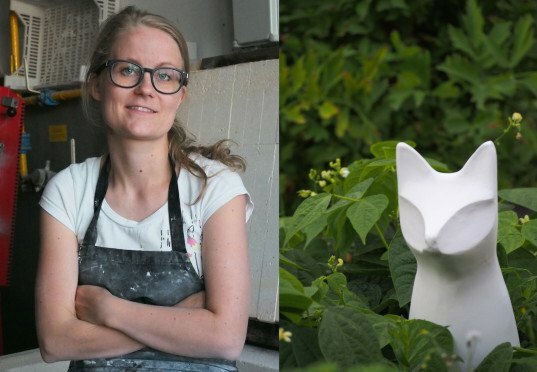 Her ceramic fox installation is but one part of the Wild in the City project, which started its global tour at the Helsinki Design Festival, where Heikkilä hid white ceramic rabbits throughout the Finnish capital.